FUNAAB VC, Pro Chancellor and Bursar arraigned for fraud. 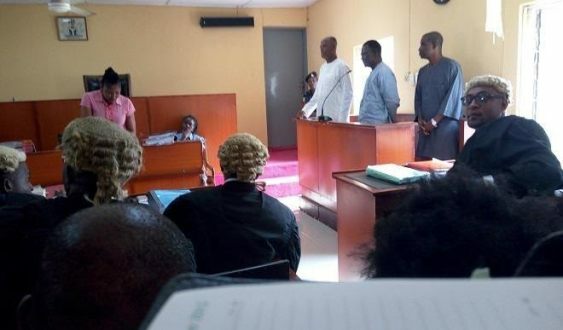 The EFCC today arraigned Pro Chancellor of the Federal University of Agriculture Abeokuta (FUNAAB), Senator Adeseye Ogunlewe, the Vice chancellor, Prof. Olusola Oyewole and Bursar, Moses Ilesanmi before an Ogun state High Court sitting in Abeokuta on an 18-count charge of stealing and fraudulent conversion of the University property. The trio pleaded not guilty when the charges were read to them. Ogunlewe was represented by his son, M.O. Ogunlewe. The court is yet to decide on whether they should be granted bail.